WR - K.Dunbar was the 12th pick in the DraftWho Draft. He posted 2 receptions for 90 yards and 1 TD. The Saints entered this season with a few goals in mind. Week 1 they faced divisional rival The Atlanta Falcons and rolled to a 34-17 victory. The Saints dominated the offensive side of the ball, totaling a league best 575 yards of offense. On the defensive side of the ball they manage to stop the high flying Falcons, holding them to 223 yards on offense. The Saints were looking to continue their high level of play as they faced the Philadelphia Eagles in week 2. Week 2 featured two teams that were 1-0, both coming off division wins in week 1. The Eagles were able to outlast the Giants beating them 30-27. 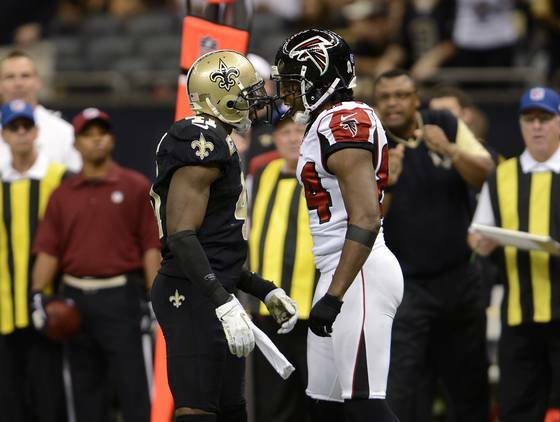 The Saints were ready to face a feisty Eagles squad, even though the game was in Philly. You couldn't have asked for a better start to a game if you were a Saints fan. Eagles QB C.Denney started the game throwing an interception to Saints SS K.Vaccaro who returned it all the way to the 3 yard line. Two plays later the Saints found the endzone, a play-action pass to Rookie TE - Taufa, the 1st of his career. The Saints would keep up the intensity through out the whole game making life difficult on QB Denney. Eagles QB - C.Denney finished the game 8/14 107 yards and 2 INT's. Eagles WR - D.Armstead finished with 5 receptions 83 yards. 1st Round selection WR - K.Dunbar was held to only 1 reception for 12 yards. Saints QB - R.Griffin benefited from great field position most of the day, finished 9/11 140 yards 3 TD's. The ground game wasn't as dominant as it was in week 1, RB's McFadden & Archer combined for 74 yards. WR - B.Cooks has at least 1 TD so far in each game, finished with 3 receptions 80 yards 1 TD. Saints allowed 148 yards week 2.